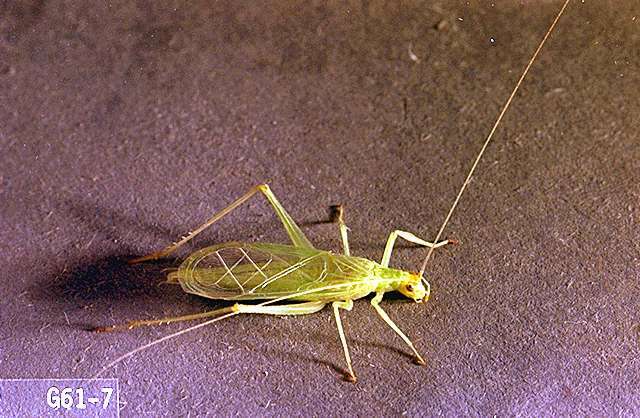 Pest description and crop damage These insects are frail, light green to whitish crickets 12-20 mm long. The snowy tree cricket is a generalist and feeds on foliage of many different plant species. They cause damage to canes primarily through its ovipositional activities of drilling small holes in the cane for depositing eggs. 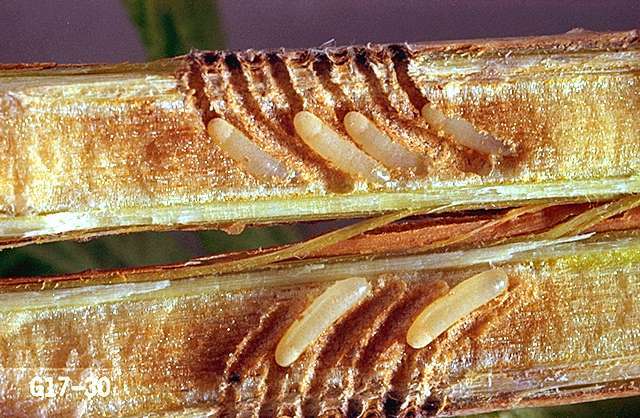 Canes may break at the ovipositional punctures sites and additional injury may take place if disease organisms enter the cane through the egg punctures. 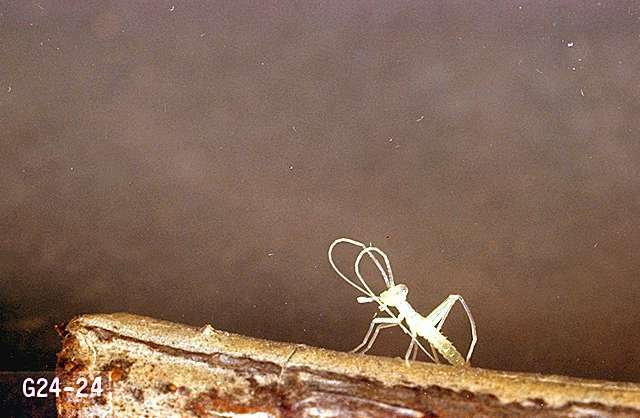 However, the snowy tree cricket is not a common pest in caneberries and extensive damage is generally not attributed to this pest. Biology and life history Adults mate and the female cricket punctures and lays eggs in canes in early fall. Eggs hatch in spring and young crickets feed and grow throughout the summer, reaching adulthood by early fall. There is one generation per year. Scouting and thresholds The nymphs and adults have a very regular, melodious chirping sound. Inspect canes for puncture holes, often arranged in parallel straight lines up and down the cane. 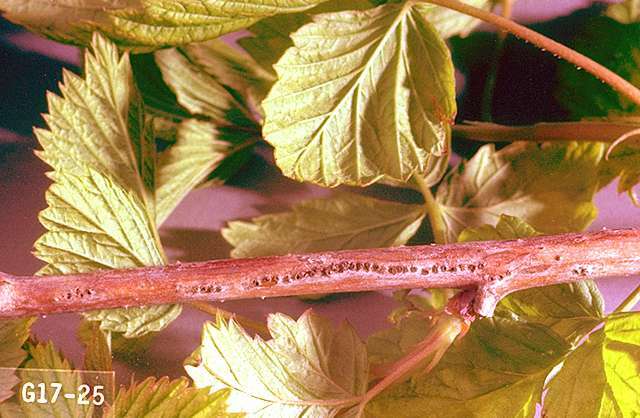 Caneberry fields most likely to be infested are those with large amounts of weeds, neglected fence rows, or surrounded by natural areas, which all provide food and shelter for the crickets. Good weed management helps mitigate a potential cricket problem. carbaryl (Sevin and other brands) at 1 to 2 lb ai/a. PHI 7 days. Latex-based formulations such as Sevin XLR Plus are less hazardous to bees. Do not use on bloom.